The FAA gives CNN the all clear. Scoring some birds-eye landscape footage thanks to unmanned aerial systems, or drones in the popular vernacular, is cool and all, but how much better would it be to hover those remote-controlled technological marvels (or horrors, depending on how you feel about this) over people? We’ll find out soon enough, now that CNN has received a waiver from the Federal Aviation Administration that allows them to fly drones over people. 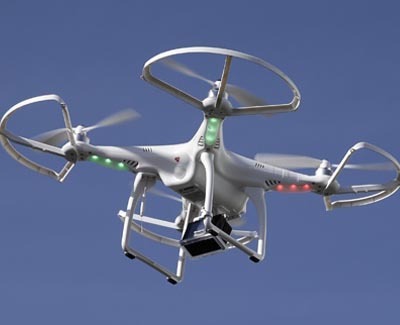 “The use of UAS has huge promise for newsgatherers and consumers of news. The ability to fly over people is a huge step forward, and a necessary one as we cover the news where it happens. We look forward to continue to work in partnership with the FAA to move UAS policy boundaries forward for the industry,” said David Vigilante, CNN svp of legal, in a statement. The waiver comes on the heels of the launch of CNN Aerial Imagery and Reporting, a department dedicated to drone-based newsgathering.